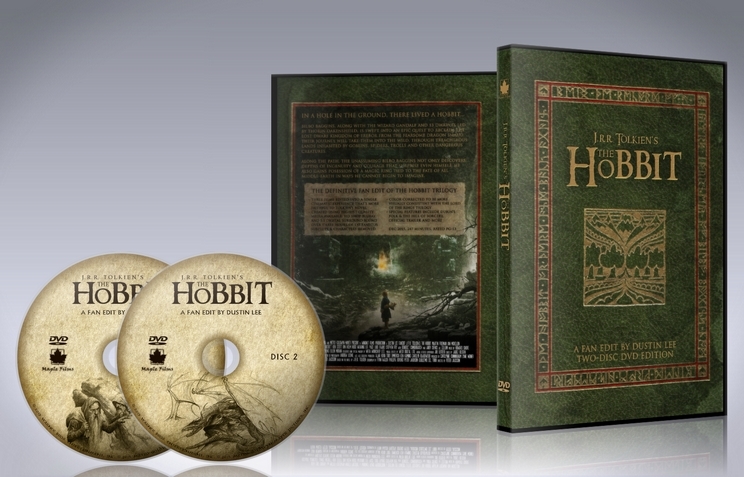 Experience the Hobbit Trilogy as a single film, recut to be more faithful to Tolkien's classic novel. I have cut over half of the cumulative running time of the films. What was once a bloated, 542-minute trilogy is now a more digestible 247-minute epic. In general, I’ve tried to keep the spirit of the book intact by removing unnecessary subplots, characters, ridiculous action scenes, and so on. Like many others, I was disappointed by Peter Jackson's Hobbit trilogy. I wanted to see a version of The Hobbit that was closer to the spirit of Tolkien’s book. This is that film. Eric Odmyr, Chad Mosby, Eric Olson, Bobby Fitzsimmons, Benjamin Marechal, Sandro Algra, Reijo Nyberg, PiNokKiO, Eric Odmyr, Simon Lydell, Nicolas Clavijo, Scarlett Buse, and others that contributed semi-anonymously! - Durin's Folk and the Hill of Sorcery, an hour-long side quest film that features the Dol Guldur/White Council subplot and how it ties into the dwarves' backstories. Many of you probably saw or heard of “The Tolkien Edit” when it was released in early 2015. That was not my fan edit. It was hastily assembled and had very poor audio/visual quality, especially since the editor used a pirated DVD screener copy of Battle of Five Armies as his source. A guy named David Killstein released his own edit shortly after that, called “There and Back Again.” It had better editing, but the technical quality was still poor. Regardless, both of these edits grabbed a lot of attention because they were the first Hobbit fan edits out of the gate, and it showed people that it was possible to cut a 9-hour trilogy in half (or more) and still make sense. So if you liked those edits, you will LOVE this version. J.R.R. Tolkien’s The Hobbit has been created using only the highest-quality media available- full HD Bluray and 5.1 surround sound. Working with 5.1 has given me far more options for audio editing than a simple stereo track. I’ve said it many times since I began working on this edit, but buried somewhere underneath the uneven, bloated Hobbit trilogy is a truly great film. For me at least, I have finally found that film. Hopefully you’ll think so too! - Numerous digital alterations, including a new opening title, gold coating removed from Smaug, Radagast erased from an eagle flyover shot, etc. - Several unused music cues by Howard Shore have been re-inserted in key scenes, including the famous Misty Mountains theme that was abandoned after AUJ. - Various scenes from the Extended Editions have also been added where needed. Yes, Thorin’s funeral is in here. - No Dale/Erebor prologue. This was cut because the dwarves’ backstory is told in a much better fashion when they are in Bag End. - No Necromancer/Dol Guldur subplot. It distracts from the main quest and was poorly conceived and executed anyways. As it was in the book, it is only briefly hinted at now. - Azanulbizar flashback is gone, but is featured in my side quest film "Durin's Folk and the Hill of Sorcery." - Azog. This is one of the biggest issues with the fanedit. Azog is a lousy CGI villain that looked immediately dated upon the film’s release. However, Jackson made him the primary antagonist across the three films and his role is unfortunately essential. Even so, I have cut his role down considerably in AUJ. - The Daylight orc chase is gone. I spliced the company checking out the troll cave with their entrance to Rivendell. - The Stone Giants, while they were in the book, were overdone and ridiculous in Jackson’s film. They have been cut. - All scenes with Gollum are untouched except for his initial scene knocking the goblin out and dropping the ring in front of Bilbo. As it is now, Bilbo awakens alone and finds the ring without knowing anything about it...just like the book. The film makes it clear that he sees Gollum drop the ring and decides to steal it instead. - Goblintown escape has been cut drastically, removing almost all of the physics-defying stunts and cartoonish CGI bits. - The tree fight/eagle rescue sequence is edited to remove the Azog/Thorin showdown. It was obviously beefed up late in production in order to have a more “action-packed” climax for AUJ. Orcs show up and the party is rescued by eagles. This segues immediately into the beginning of DOS with the company arriving at Beorn's house. - Legolas and Tauriel. Another unfortunate addition by Jackson that cannot be removed entirely. They make a brief appearance in Mirkwood when they arrest the dwarves, and are briefly in the orc skirmish during the barrel chase. Every other scene with them in DOS is gone. - Bilbo’s encounter with Smaug is pretty much untouched. This was one of the high points of the Hobbit films. - Smaug playing hide and seek with the dwarves is gone, along with the dwarves lighting the furnaces and throwing flashbangs at Smaug’s head. Dumb. - Smaug bursts out of Erebor right after telling Bilbo he can watch the people of Laketown die. His skin has been digitally color corrected to remove the gold coating in the original version. - Smaug’s attack on Laketown is now dwarf and Tauriel-free. - Alfrid has been completely removed from the film aside from the opening scene and the shores of Laketown. - Since the four dwarves from Laketown were never actually there, I removed their reunion scene with the company. - Some of Thorin’s “dragon sickness” scenes have been cut or trimmed. There were too many of these scenes in the original version and they dragged the film too much. - The giant were-worms are gone. Azog’s army simply marches out of the mountainside. - The actual Battle of Five Armies has been drastically cut. I boiled it down to its most essential element- Dain’s army is quickly overrun and Thorin must decide whether to help or not. Everything else that happens is not crucial to the plot. Therefore, most of the fighting in Dale has been cut along with some of the more ridiculous bits of the battle. Everything has been streamlined and is much easier to follow now. It also puts more focus on Dain, which is nice. - Legolas and Tauriel appear VERY briefly once the battle begins. Legolas warns Gandalf of the approaching army from the north and is never heard from again. - Ravenhill has been trimmed considerably as well. Fili and Kili's deaths occur at the same time, to make it appear that they were both captured and killed in front of Thorin and Bilbo. - Unfortunately there is no onscreen death for Bolg since PJ gave him and Legolas the most unrealistic and ridiculous fight scene ever. So let’s just assume Beorn ate him or something. - Thorin’s fight with Azog is trimmed a bit but is mostly the same. 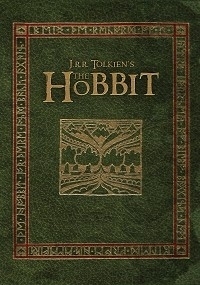 - The film is basically untouched after Bilbo begins his journey home. I added Howard Shore's sublime "Dreaming of Bag End" over the scene where Bilbo and Gandalf part ways. J.R.R. Tolkien's The Hobbit- Official Trailer from Dustin Lee on Vimeo. I've long known that there must be a good movie hiding within the mess that is The Hobbit trilogy. The Maple Films edit takes some excellent steps toward pulling that good movie out of the muck. It's an improvement, to be sure. But for me, it ultimately fell short. In an effort to save time, the Maple Films team ended up cutting out a lot of moments and scenes that I believe were necessary for narrative cohesion. Most notable, the Battle of Azanulbizar, which establishes Thorin's history with Azog. For better or worse, Azog is the major antagonist of the trilogy, and in order to give the final fight some emotional weight the history of the two characters is essential. Without it, he's just a random orc that is, for unknown reasons, an old enemy of Thorin and their conflict falls flat for the viewer. -In an attempt to achieve visual consistency with The Lord of the Rings, they went overboard with the color grading. The desaturation throughout the film is far too extreme. -...the transition between An Unexpected Journey and The Desolation of Smaug. This cut leaves a lot to be desired. The voiceover was a creative solution, but in my opinion the flight of the eagles was cut far too short and the whole thing feels off. -I loved the way this cut handled the deaths of Kili and Fili. I think the cut could have used a bit of polish, but the idea was fantastic. This is now my definitive version of The Hobbit trilogy. I've watched it twice and it has continued to be my favorite version of the films. Very well done. The effort put forth and seamless editing really make this an excellent edit, although just from the overabundance of material and plot that happens in the Hobbit, it still seems a little long at 4 hours. But really, the length can be forgiven in getting to watch all the classic moments of the Hobbit in a single movie, and I enjoy watching this single 4-hour version than having to endure meaningless sideplots that don't focus on Bilbo's journey. Probably the highest quality editing I've seen yet from a fan edit, A/V quality was superb and I didnt notice a single cut that stood out (hold the Smaug covered in gold). Reducing the run time to less than a half of the original and maintaining a (not just functional but IMO better) story is no small feat but was absolutely accomplished here. My biggest thought after watching this edit was, "I thought this was supposed to be JRR Tolkein's The Hobbit?" I don't really feel that it's fair to title this edit in such a way when it's nowhere near a book cut. I still had to watch the Elven/Goblin fight during the barrel sequence, the dwarves still ran around with Smaug inside the mountain, Bard still shot the arrow off of his son's shoulder, and we watched the whole finale unfold between Thorin and Azog. It'd be one thing if there were just no good way to cut these things out, but they have all been skillfully taken care of in various other edits. This is absolutely a better film than the theatrical trilogy, but it falls short as a book cut, which is what I expected given the title. Finally, I thought it was odd the massive amount of effort that went into all of the formats and subtitles available for this edit, yet they lazily copied and pasted the credits from The Battle of the Five Armies? Not only are there names of actors and characters who never appear in the film, there are drawings of them! I've heard time and again that the goal with fanedits is for them to feel like theatrical releases. When the end credits started rolling and a bunch of faces popped up that weren't in the film, it definitely screamed fanedit to me. I apologize for the harsh review, but I have to disagree with the general consensus here--they put a lot of effort into this one, to be sure, but it fell short in a lot of ways for me, unfortunately.